NEW YORK, March 26, 2018 /3BL Media/ – Get Schooled national spokesperson and hip-hop mogul DJ Khaled today joined Viacom to announce Key to Social Change, an initiative that will empower high school and college students to make a positive impact in their communities through social media. Organized under the Major Keys campaign, which assists students in securing a college education, Key to Social Change launches April 2, 2018, and will award more than $20,000 in scholarships to select participants. The newest of eight major “keys” for academic success developed by DJ Khaled and Get Schooled, the Key to Social Change will provide students with best practices for effective digital communications, including guidance on platform selection, content development and messaging. Students will be encouraged to apply these skills to social cause work through their own social media campaigns. Scholarships will be awarded to those who best illustrate the positive real-world impact of their digital content. The announcement occurred at today’s presentation of Viacom’s 2018 Social Impact Award to DJ Khaled in recognition of his commitment to giving back and his partnership with Get Schooled. 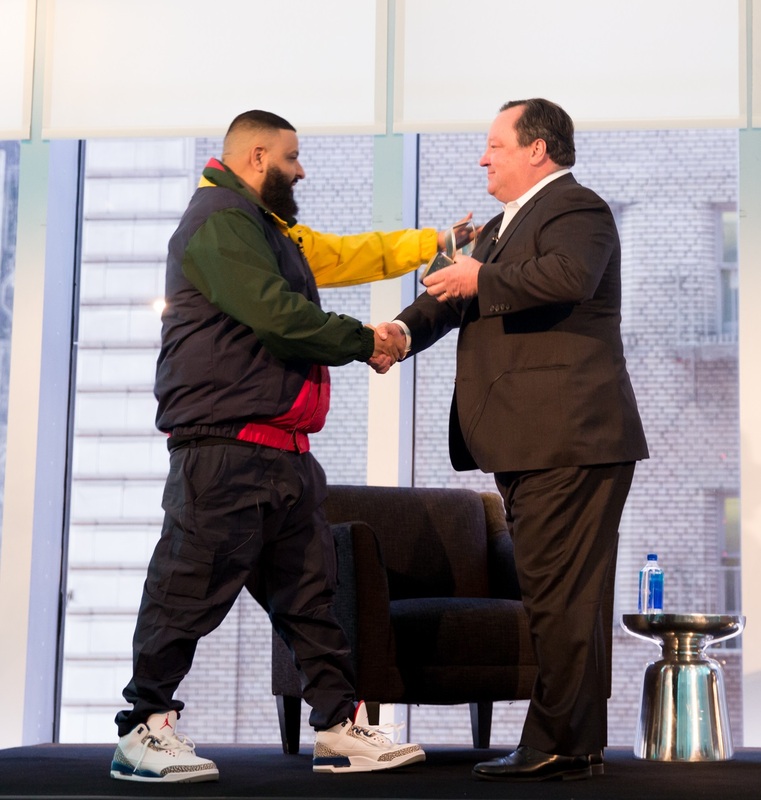 The event also featured a keynote discussion with Khaled and Viacom President and CEO Bob Bakish on the importance of good works and youth activism. The Major Keys campaign aims to expose young people to critical soft skills that are integral to success in college and beyond. The campaign consists of eight keys – or digital badges – that cover personal finance, communication skills and goal setting, among other important topics. To date, students have earned more than 25,000 keys in total. A major force in the music industry, mogul, executive, mega producer and recording artist, DJ Khaled, known as the "Anthem King" and commonly referred to as the "Quincy Jones of Hip Hop & R&B", has made dozens of chart topping hit records featuring JAY Z, Kanye West, Drake, Chris Brown, Ludacris, T.I., French Montana, Future, Big Sean, Rick Ross, John Legend, Nicki Minaj and Lil Wayne, among others. In 2006, he launched innovative label deals and started We The Best Music Group. His 2010 hit song "All I Do is Win" went 3x platinum, sold over 3 million singles, and crossed over all music genres to become a mainstream hit, solidifying him as a force to be reckoned with. That same year he also released “I’m On One” feat. Drake, Rick Ross, and Lil Wayne. Khaled went on to release the hit single "No New Friends" featuring Drake, Lil Wayne and Rick Ross, which reached gold status and has sold over 500,000 singles worldwide. DJ Khaled has sold over 15 million singles in his career. Get Schooled is an award-winning non-profit organization that directly engages and motivates students to graduate from high school and succeed in college. With nearly a million members, Get Schooled offers students a range of supports including college advisor text help and digital content. Get Schooled has developed a track record of success because it engages with young Americans using the media, technology, and popular culture that is an integral part of their lives. Named a Fast Company “Most Innovative Company” for its use of gamification to inspire and engage young people, Get Schooled was founded in 2010 through a partnership between Viacom and the Bill & Melinda Gates Foundation. For more information visit www.getschooled.com.